Cattleya orchid cameo necklace w/pink tourmalines & keshi pearls. 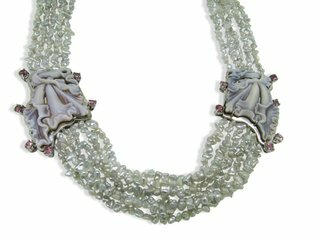 The orchids are in profile or side view, 38mm each, surrounded by multiple strands of lovely grey keshi pearls. Registry numbers 2617/2619. Set in 950 silver. 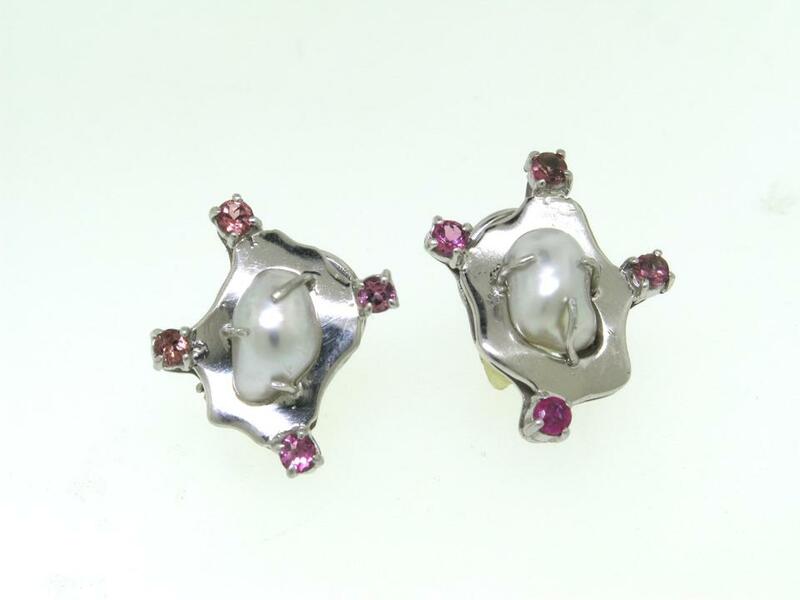 Sold with matching pearl and pink tourmaline earrings (see additional photo). 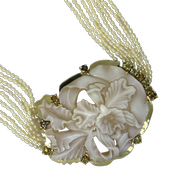 From the Bridal Collection. Comes with Certificate of Authenticity. Eco-Friendly, Fair Trade. Similar design may be custom ordered.